Adds electric shutters to the windows at Red Rocket. Also removes the sliding doors so that you can build your own. 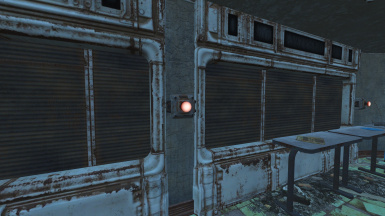 Adds electric shutters to the windows and removes the sliding doors at Red Rocket. Press the buttons next to the windows to open and close them. 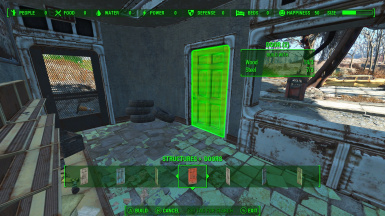 Open workshop mode to build your own doors. Doors will 'snap' to the doorways. There are three optional files. Please choose the main file or one of the optional ones. Do not install more than one. 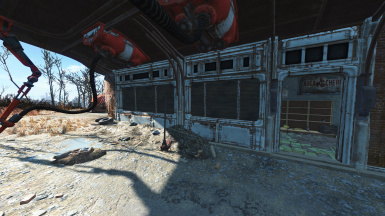 Also adds shutters to the side doors. Adds the shutters, but keeps the sliding doors. Same as main file, but with smaller buttons.